Sea-Jin Chang is a Lim Kim San Chair Professor of Business Administration, National University of Singapore and also a Techno-SK Chair Professor at Korea Advanced Institute of Science and Technology (joint appointment). He received his BA and MA in economics from Seoul National University, and Ph.D. in strategic management from the Wharton School of the University of Pennsylvania. He was previously a faculty member at the Stern School of Business of the New York University and Korea University, and also had visiting appointments at Stanford Business School, INSEAD, London Business School, Hitotsubashi University and Wharton School. Professor Chang is primarily interested in the management of diversified multinational firms. His current research focuses on understanding the process of creating operating synergies among diversified lines of business and building a strong local organization after foreign entry. 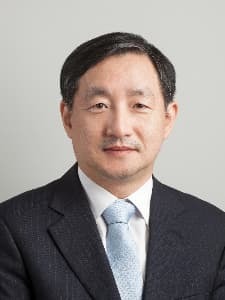 His other research interests include organizational learning, corporate growth through joint ventures and acquisitions, foreign direct investment, and comparative management studies of Japan, Korea, and China. His book, Sony vs. Samsung: The Inside Story of the Electronics’ Giants Battle for Global Supremacy (Wiley, 2008) compares and contrasts these two firms’ global strategy. His other books, The Rise and Fall of Chaebols: Financial Crisis and Transformation of Korean Business Groups (Cambridge University Press, April 2003) and Business Groups in East Asia: Crisis, Restructuring and New Growth (Oxford University Press, 2006), examine the post-crisis restructuring activities of large business groups in Asia. The Multinationals in China: Entry Strategies, Competition, and Performance (Oxford University press, 2013), examines the evolution of strong local companies and localized multinationals in China and competition between them. He previously served as an Area Editor of the Journal of International Business Studies, and is an Associate Editor of the Strategic Management Journal and Industrial and Corporate Change. A native Korean, Professor Chang, is married to Kyungmee, a composer of modern classical music, and they have two daughters, Melody and Harmony.